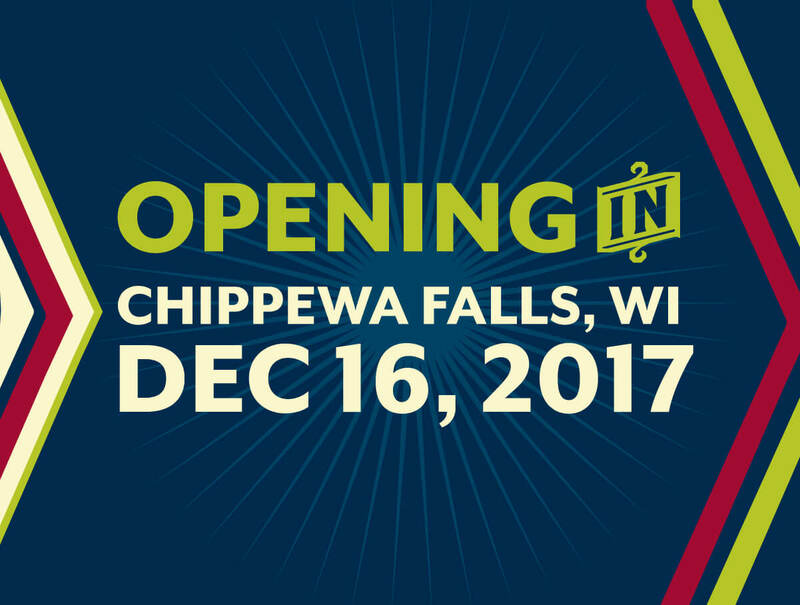 Chippewa Falls / Lake Hallie Location Opening December 16th! The newest Erbert & Gerbert’s Sandwich Shop is opening their doors at 1433 Commercial Blvd. in Chippewa Falls, WI on Saturday December 16th! 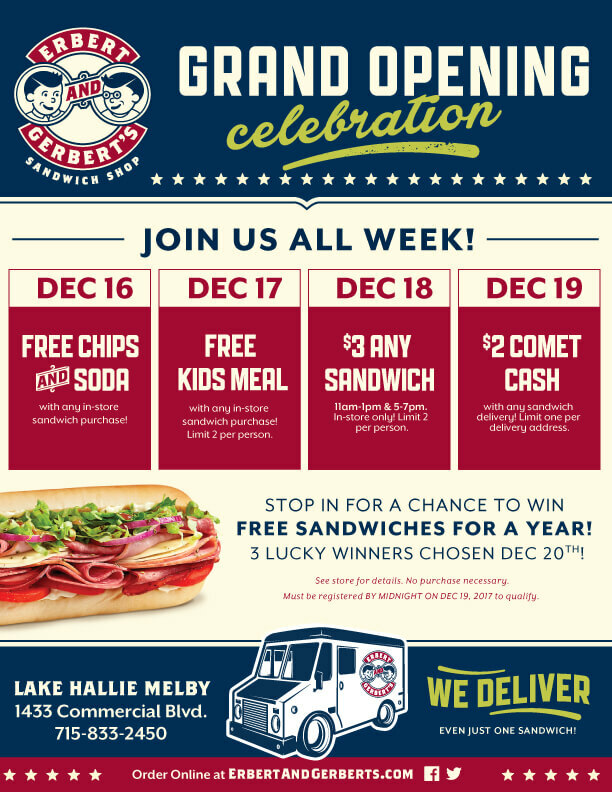 Join in on the Grand Opening Celebration deals from December 16th – December 19th and stop in for a chance to win FREE SANDWICHES FOR A YEAR, with 3 lucky winners chosen December 20th. Cant wait to see you there! Offers only valid at the Lake Hallie Melby E&G Location from December 16th -December 19th, 2017. Not valid at any other E&G location.